Finally, I am getting myself to write this post. Ugh so many distractions like that storm and then just not in the mood XD, not to mention facebook. Okay, so on to updates and such. Chocolates galore! 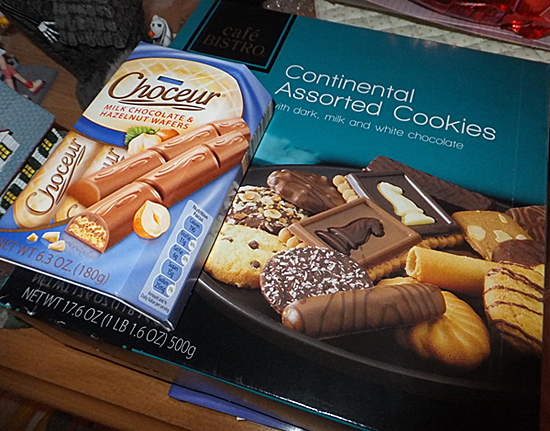 My friend who did my precious Sakura's faceup *Cardcaptor Sakura*, brought me a stash of chocolate treats >< I took a picture to share cause I'm so impressed by them. Look at the adorable new sticker decal I got for my phone! 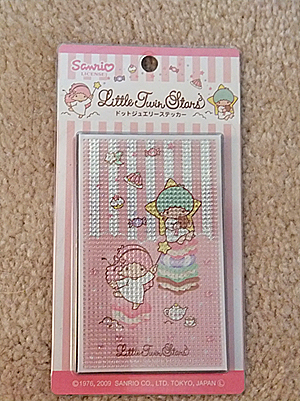 I have started to collect little twin stars merchandise, and now I have this, a cute makeup bag from a Japanese Magazine, and a little zippered pouch I bought from a Sanrio store ^o^. To deck out your own phone check out http://www.strapya-world.com/. 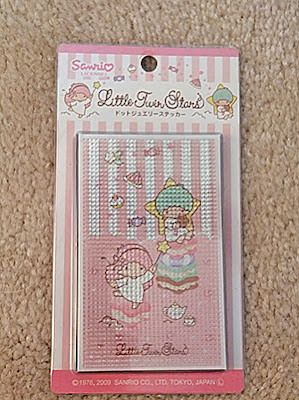 There shipping prices aren't to bad and they have other novelty items from Japan! The actual item on my phone needed to be cut and adjusted to fit the style of my phone, but I don't think I did to bad of a job. 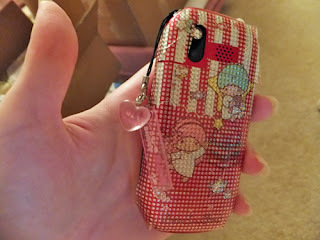 Note that my phone is red so it takes differently on my phone as apposed to in it's packaging. So onto the Dollfie Dream news ^^. I have a gorgeous outfit coming I found on sale for 35 dollars which i'm very excited for, and to get Sakura her body I was able to order the last Dollfie Dream fullset I wanted. Granted, Sakura will take her body for now, she will be getting another body just for her sometime in the future. So..... she is......A REIMU HAKUREI! Yes yes so excited about it! 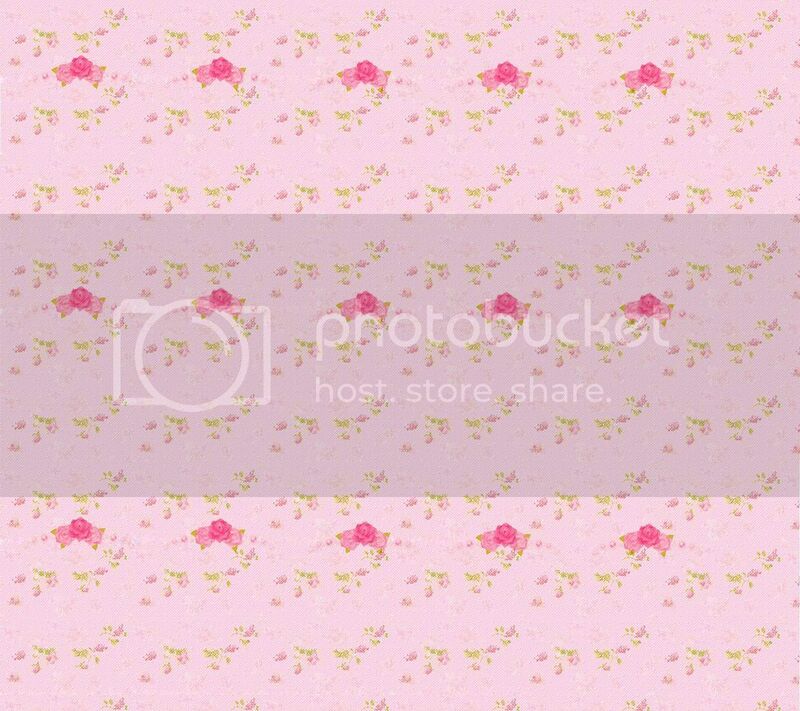 She won't have any pictures unfortunately until I get her a body, unless she decides to share with Sakura ^^. So even though I mentioned some basics about Sakura because it involved getting a new doll, I'll have most of her info under her project banner. Her current updates are progressing quickly. Her faceup has been completed ^^. Also like stated above her body is here, and she is currently waiting on her eyes to get home. Sakura's wig has been here. Her outfits that i'm going to get are being done through a trade and will take alot longer so she will not have her official outfits till there completed. I also will have to save up for her wands at some point. 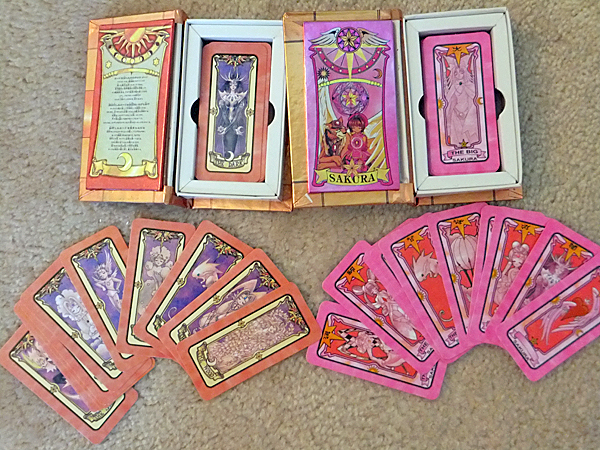 However, I did find doll size clow books! 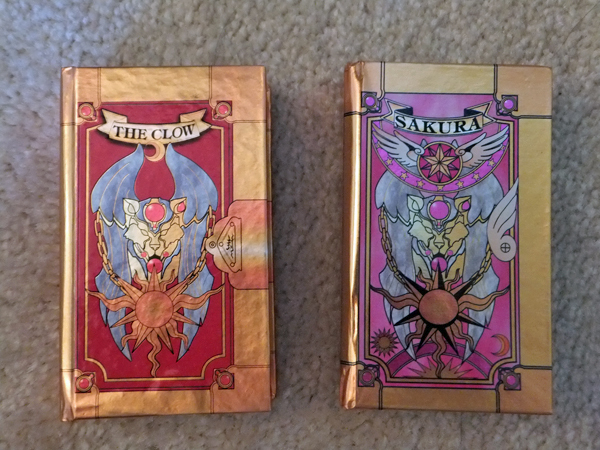 I bought them in a set the clow, and the sakura clow book! Pictures are as followed below. As you can see below, all the cards from the series are included in both sets! Well thats all the fun I have for you all today! Check back for more dolly news and know-how and about my crazy life. See Yaz!